With summer in full swing, it is great to make the most of being outdoors. Bringing the outdoors in is one way of doing this, as seen in our recent small studio design where a forest wall mural amplifies a living room space. 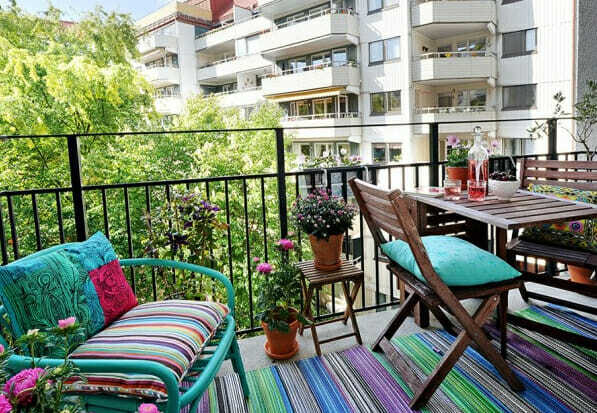 Yet, if you’re home has an outdoor area to work with, more options are open. 1. Keep it simple. Determining the use of your patio will help guide design choices. Will it be a place to lounge while watching the setting sun? Is it to be used as an alternative dining area? By answering these types of questions, you can narrow furniture selections. Often, keeping the design clean and simple offers spaciousness and comfort. 2. Have a lighting plan. 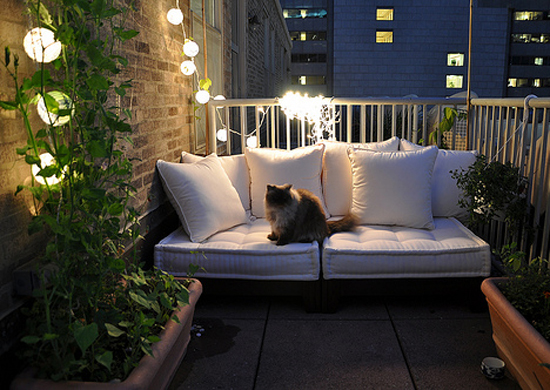 Night illumination outdoors (like indoors) is particularly important in creating a mood and making a space inviting. 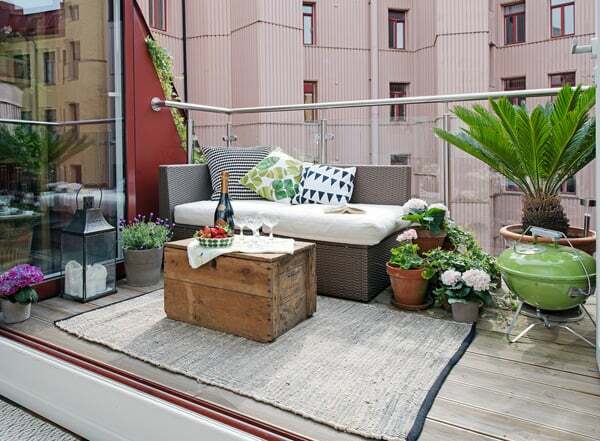 Even the smallest balcony benefits from a string of lights or candles in lanterns. These offer an essence of comfort and coziness that makes up for limited space. 3. Embellish with color pop. 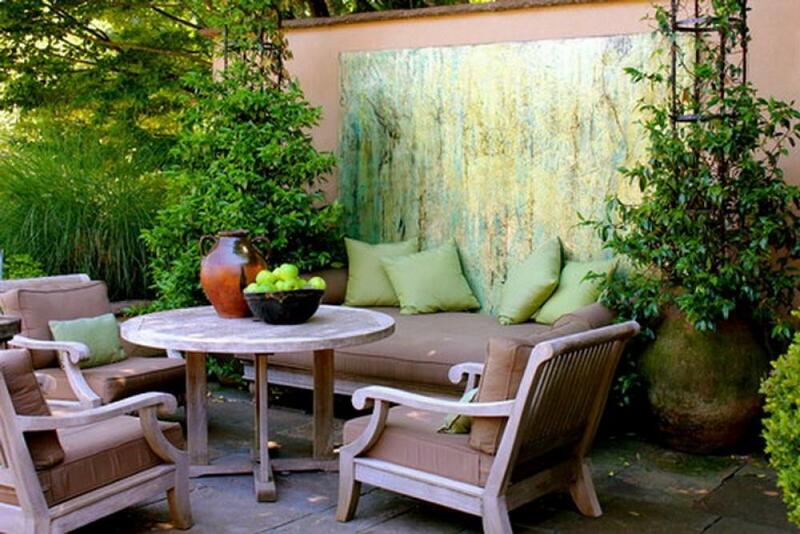 Outdoor living areas are where one can be bolder with color choice and style. Have fun with accessories like pillows and rugs. Citrus palettes and vibrant blues are summer time favorites that connote the joy of vacation. 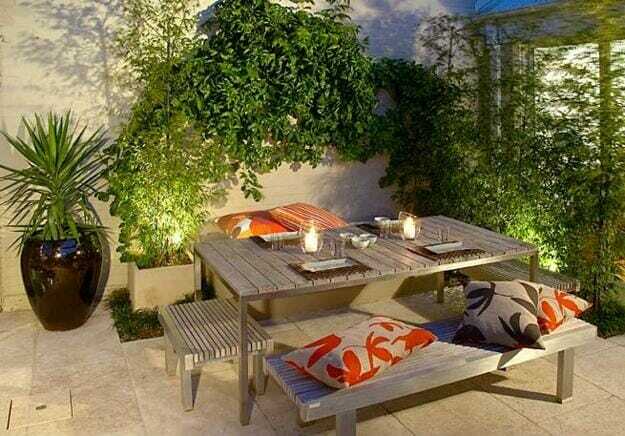 Any small outdoor space that can do that is successful design. 4. Lighten up with neutrals. If bright colors aren’t your thing, going towards neutrals like whites and beiges can work as well. Classically, these hues open up a space, making it seemingly larger. 5. Have a focal point. Like in interior design, having a focal point that inspires or engages goes far. Why not have a piece of art outdoors? A fire pit or striking plant can also do the trick. Such pieces take the emphasis off of size and places it on style. 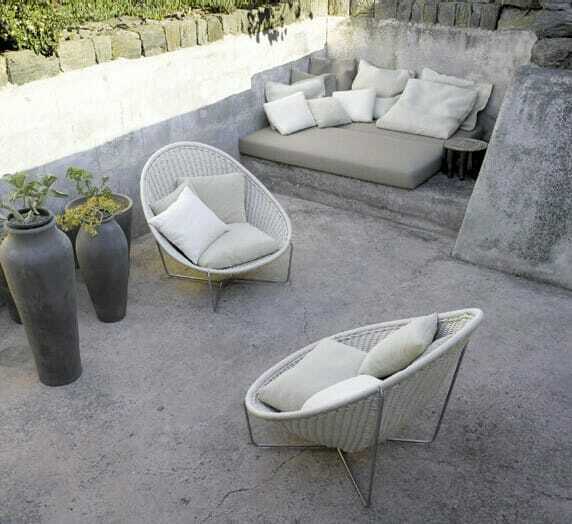 Taking these elements into consideration will stylize and make the most of your outdoor patio design. Written by Creative Design Expert, Christine Martin.